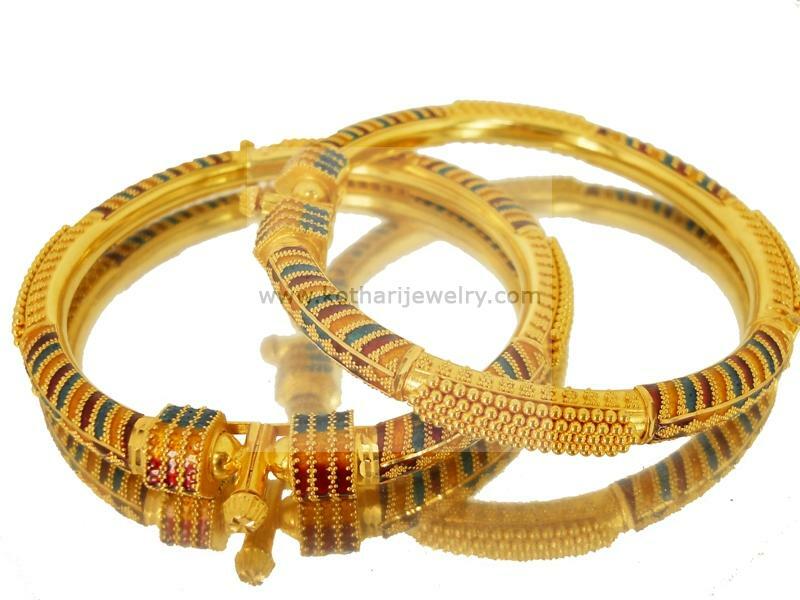 An ethnic handcrafted 22kt pipe bangle in gold also known as gold kada. This 22karat gold kada comes with a screw so that bangle size is adjustable and can be worn by anyone. The pipe bangle is designed with delicate work of gold balls and also ethnic meena paint. This gold kada is 916 BIS hallmarked.